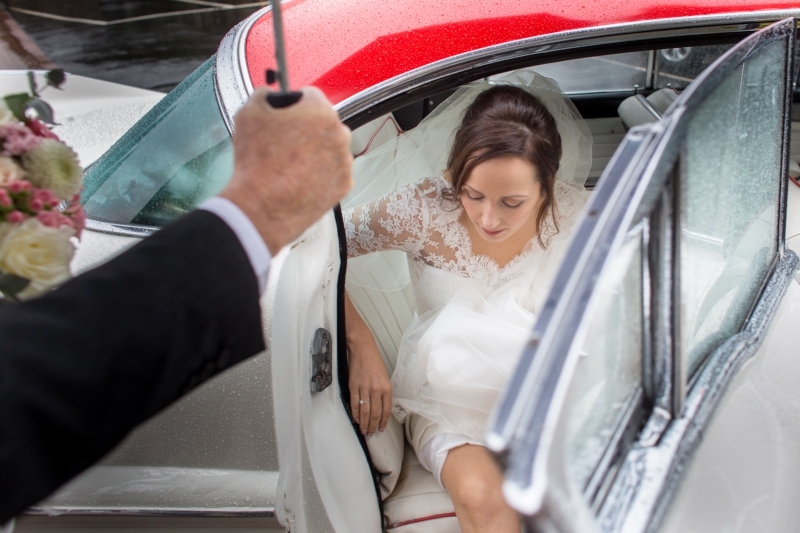 Chantilly and Silk Mikado wedding dress was the choice Jennifer went for. 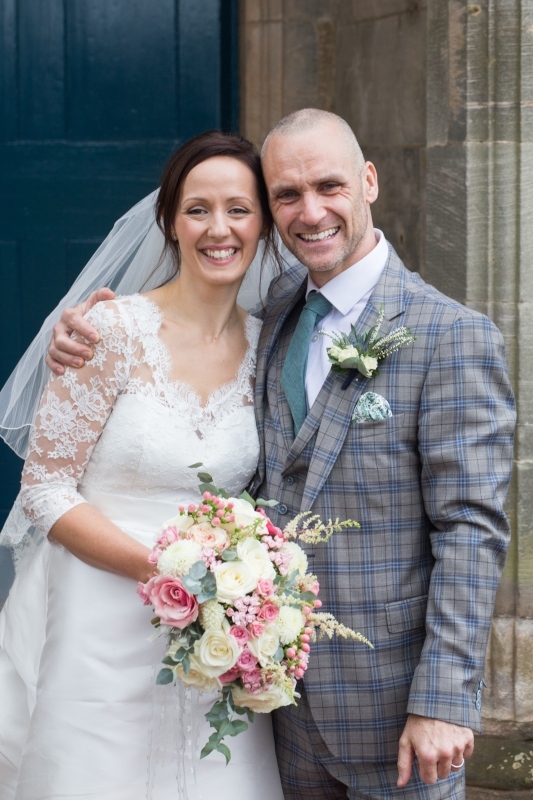 The bride and groom chose an autumnal wedding in the brides local church and a beautiful reception at Winton Castle. 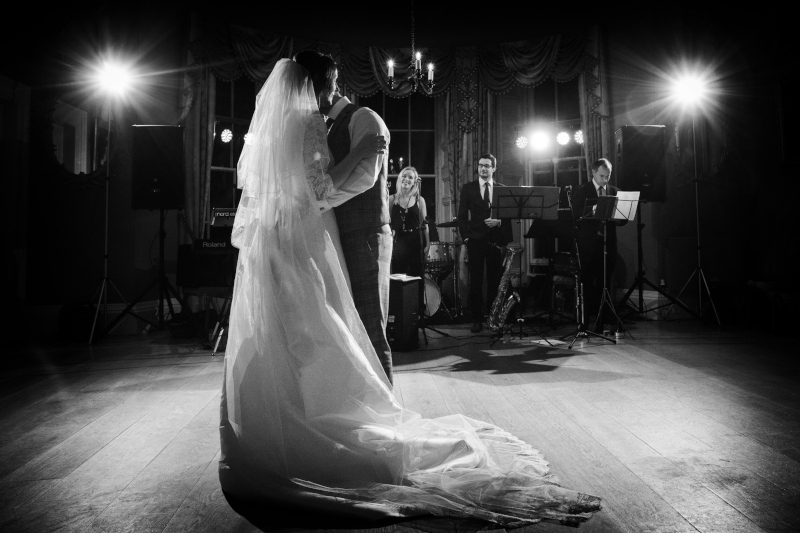 We are absolute fans of this venue, you can see its beauty in the photographs. We loved making Jennifer’s dress, she came for her fittings with her mum and they are such fun. 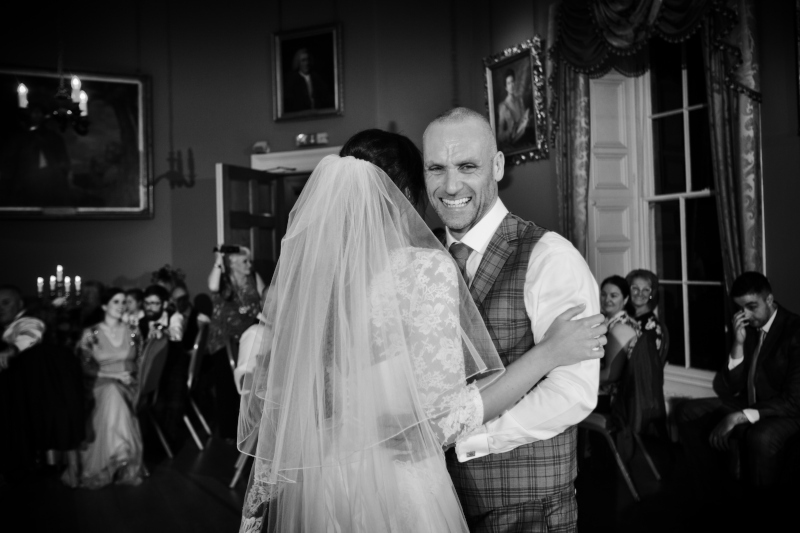 Jennifer went for a bespoke dress, but it had elements picked from a few of our collection dresses. She upgraded the fabric to a silk Mikado, and she chose a beautiful Chantilly lace for her bodice. 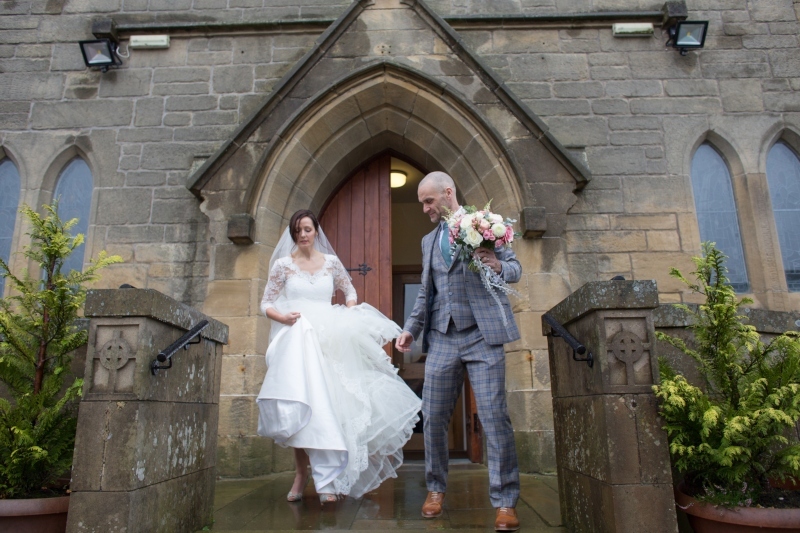 Finishing the dress with the lovely scalloped edging on neckline and sleeve hem and the veil just made a stunning entry at the church. 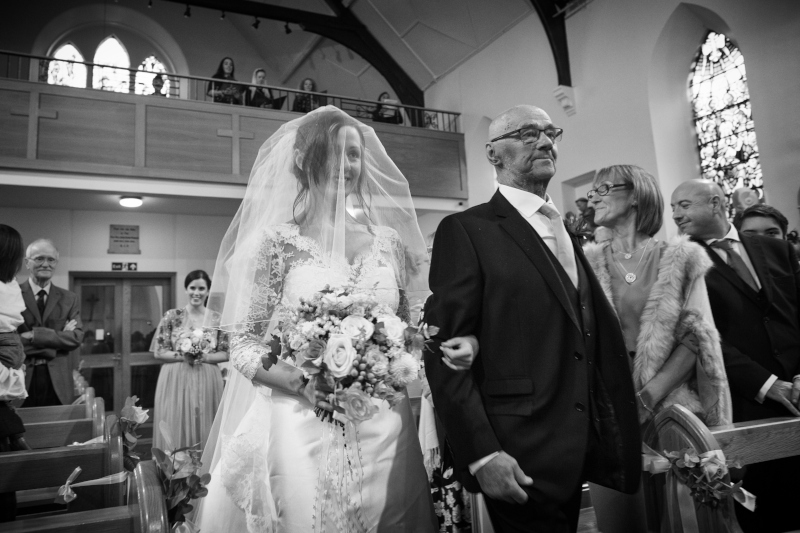 We made buttons and loops of the silk Mikado for the fastening down the back of her dress. 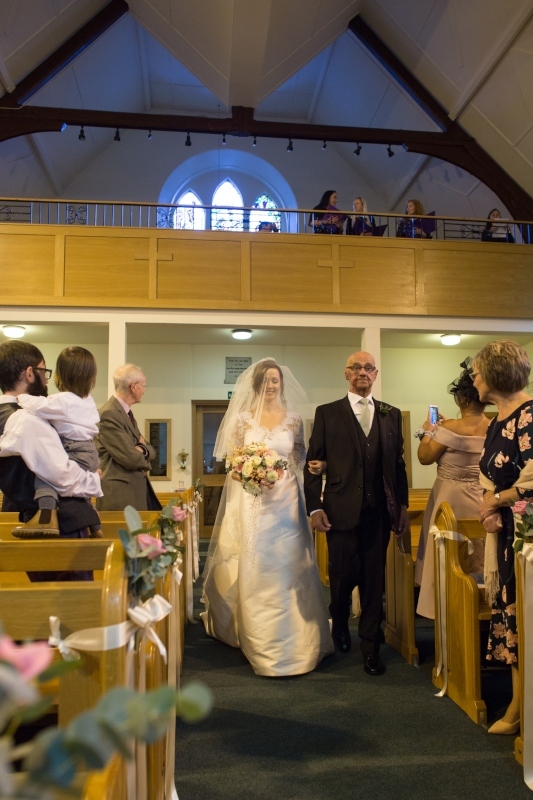 The bride and groom had chosen the photographer Simon Atkins, he kindly let us share his pictures, he uses the name The Wedding Photo Journalist.